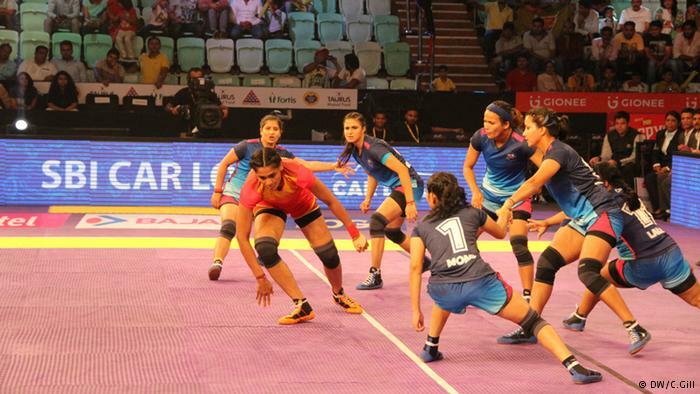 In April, India’s best Kabaddi players were selected to play for the three league teams. Here, the Firebirds take on the Ice Divas in New Delhi. Kabaddi is a high-intensity contact sport originated in ancient India. Each team has seven players. A lone “raider” seeks to touch as many opposition players as possible before returning to his or her half of the area of play without being tackled. The sport requires immense physical exertion, and some movements are similar to rugby and football. At each turn, the attacker must hold his breath and chant “Kabaddi, Kabaddi” repeatedly to prove that he is not inhaling. 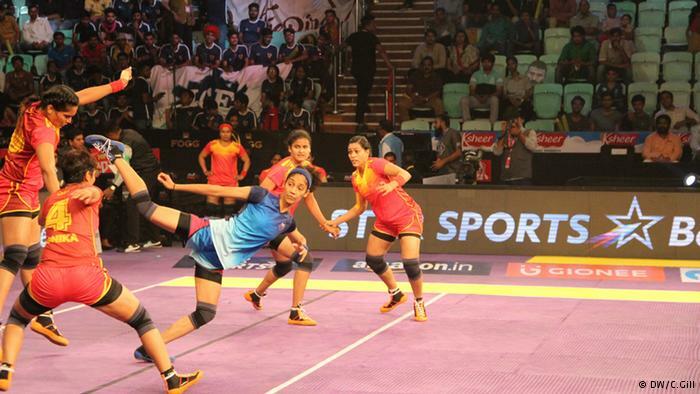 Though Kabbadi is not as popular as other sports in India, Mamtha Poojari, the captain of the Firebirds team, is now a well-known figure in the country. 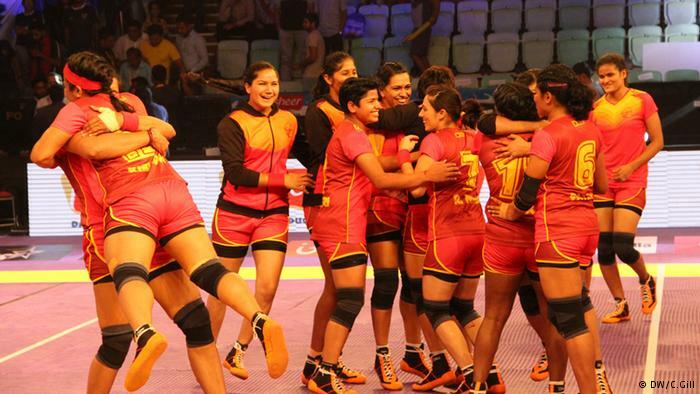 “Kabaddi is now associated with the ‘girl power,'” says Poojari. “In India, most people think it is a sport for men. 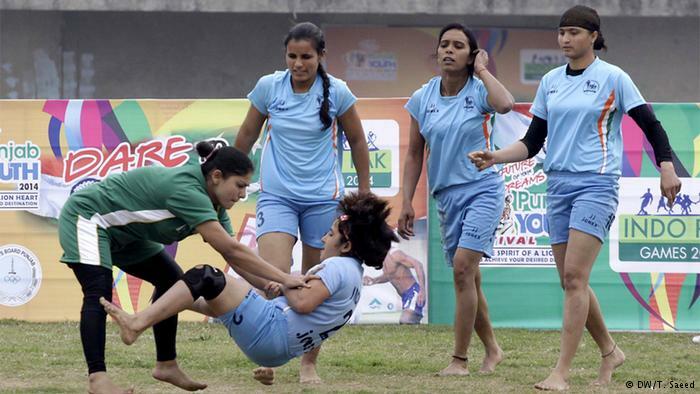 But thanks to the women’s Kabaddi league, the perception is changing,” she added. Around 38 million people watched the first two games of the women’s championship on television. According to the Star India TV channel, no other women’s sport in India has attracted so many Viewers. 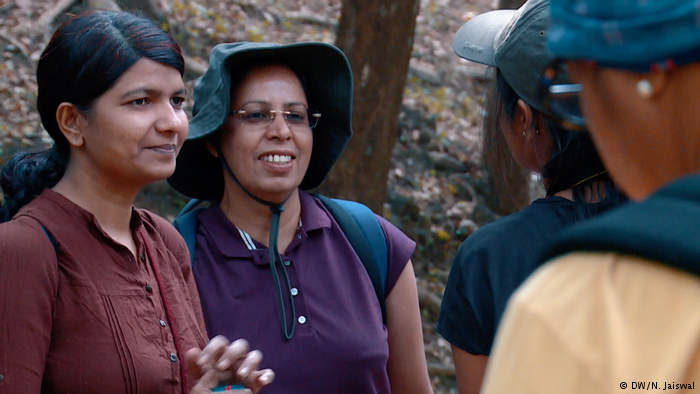 Legend has it that the world will come to an end if women scale the Agasthyarkoodam peak in India's southern state of Kerala. But these women want to take a chance and prove tradition wrong. Deepa (who only has one name) is sitting desolate in the corner of the busy Thane railway station in Mumbai. She looks exhausted, weary and frightened after a long train journey that lasted 8 hours .